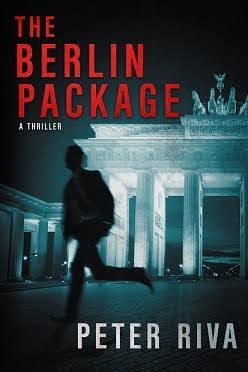 In this fast-paced sequel to Murder on Safari, The Berlin Package, finds Pero in Berlin on a brand new assignment. Film producer Pero Baltazar thought he was taking a Berlin filming assignment. He needed the work, needed to get back in the saddle after fighting off a life-threatening experience in East Africa—alShabaab had attacked his crew, intent on a much larger terrorist attack. Suddenly he finds himself under orders from his part-time employers at the State Department and the CIA when he is handed a mysterious package. It’s an assignment he doesn’t want. The problem is, it’s a job contracted by mysterious patrons who are prepared to kill him if he doesn’t deliver. Wow – this novel was just as stunning and fast paced as Murder on Safari, I fell in love with this novel and could not put it down. While it is a sequel to Murder on Safari, you don’t necessarily have to read the first novel to understand this one (but trust me you will want to because the first novel is just as great!). The plot line is incredible and slowly unfolds piece by piece, only giving you what you need when you need to know (which I love!). Pero after his experience in Africa felt he was done with the CIA and their missions. He wants to get back to his film producing so he jumps on a story based in Germany. It is only when he is there, that he becomes trapped into a mysterious assignment that he never wanted. As he tries to deliver the package, he finds out unbelievable truths about Nazi concentration camp gold, individuals in power and his mysterious package. He must use his skills to thwart an enemy that he is never too sure who they are, to discover the details of the package and to ensure it remains out of the hands of his enemy (not to mention save his friends!). The Berlin Package is beyond exciting, full of surprises that you never quite see coming and an exciting plot line that will have you unable to put the novel down. Peter Riva writes exceptional novels that are fresh, thrilling and full of adventure. I can not wait to see if we have another novel featuring Pero! You can purchase a copy of this book on Amazon, Barnes & Noble and Chapters. Peter Riva has spent many months over 30 years travelling throughout Africa and Europe. Much of this time was spent with the legendary guides for East African hunters and adventurers. He created a TV series in 1995 called Wild Things for Paramount. Passing on the fables, true tales, and insider knowledge of these last reserves of true wildlife is his passion. Nonetheless, his job for over forty years has been working as a literary agent. In his spare time, Riva writes science fiction and African adventure books. He lives in Gila, New Mexico. You can connect with him on his website, Twitter and Facebook. Enter now to win one of five copies of Murder on Safari and The Berlin Package. Enter via the Rafflecopter form below. Good luck! This entry was posted in book review, giveaway, iRead Book Tours, iRead tour, review, reviews. You are, quite simply, wonderful. I am your fan! You just made my day! Thank you for visiting – I love your writing! I want to win because I love reading suspenseful action packed books. This one sounds great.